The snow which we have been having over the last few days made me consider having a go at Snow Sculpturing, but as yet I haven’t managed to muster up the courage to start. This one of a mouse having a taste of some Swiss Cheese, which I thought was quite sweet, was cleverley created by ivantheterrible on flickr where they have a selection of other sculptures. 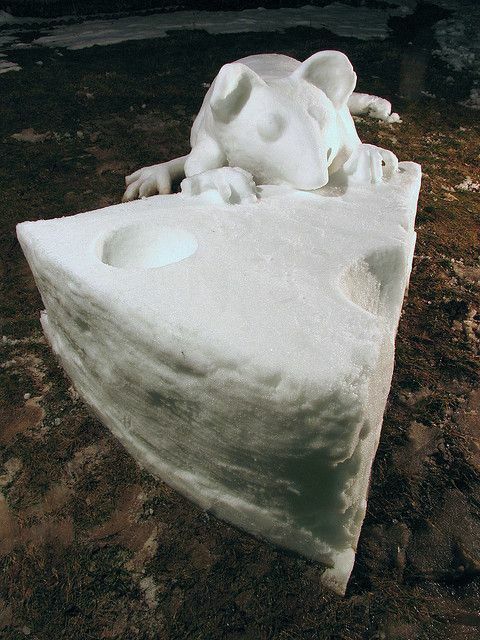 This sculpture below was naturally named ‘Snow Cheese‘ and was cleverly created by Grell-ka on the Deviant Art Site. 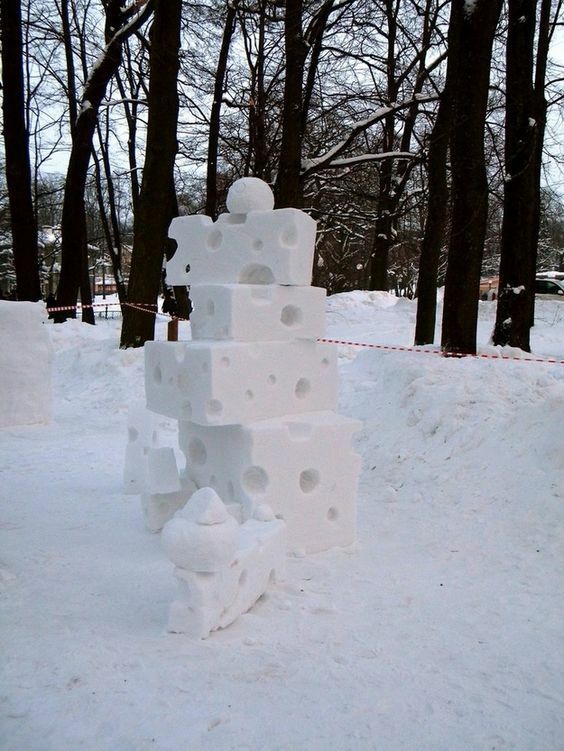 The stack of Swiss Cheese sculpture looks really realistic (except of cause on a large scale) with the different shapes and sizes, at different angles. Looking at all this snow on the internet and going out in the snow, with the weather how it is at the moment. I don’t know about you but it makes me feel like hibernating (It’s Freezing!!!). Think it is time for a hot drink and perhaps time to get the fondue set out for a warm cheesy treat. I came across a cool fun fondue set the other day, to cheer you up on gloomy days and gives a little colour to parties.